Morning is my favorite time to watch my little ones interact. It’s the time of day my three year old has nothing but patience for her little brother. She loves to show him how his toys work, loves to read books with him, and teach him new things. This morning she is making him giggle by playing a musical Santa decoration over….and over….and over….and over…. I must confess, though – after the 7th time in a row, I usually excuse myself to the coffee pot for a refill. The giggles are still the best. I just want to bottle them up for when I’m having a bad day! I didn’t think it would happen, but we managed to get almost everything set up for Christmas on time this year. My daughter helped decorate the tree with “ormanents”. She checks the advent calendars regularly to see if any candy spontaneously appears. Our elf, Candy Cane, came back and she had so much fun spying him this morning. My daughter and I have dentist appointments today. She has only had a little get-to-know-the-dentist visit, so this will be her first official check-up. I go twice a year. However, I haven’t had x-rays since spring 2013 because I was pregnant during my last two visits. I haven’t had a cavity (knocking on wood). There’s always a little fear that this visit will be the dreaded one. I mean, come on…I’ve made it this long without a cavity. I’m on a winning streak and I don’t want it to end. Fingers crossed! Well, I’ve been wanting to make it for awhile. So, after the party I ordered some some bells and a shadow box. 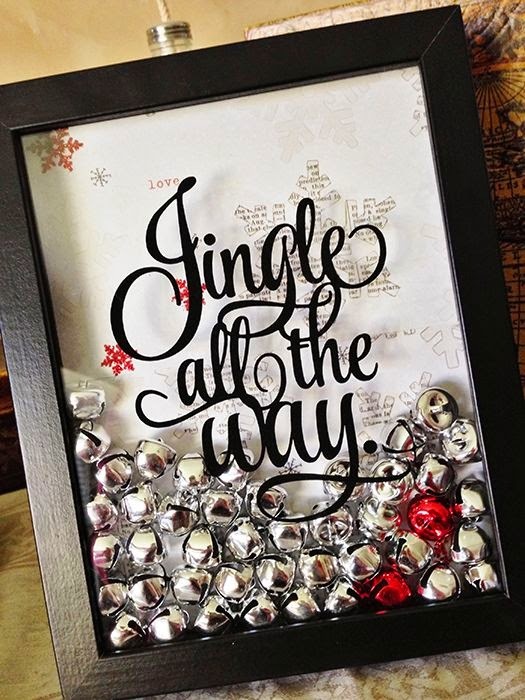 I’m going to use my wooden B and write “jingle bells” up the left side of the B. Then I’m going to mount it on holiday scrapbook paper. Once that is inside the shadow box, I want to partially fill the shadow box with the bells. Sounds good, right? I just need time! With the joy of a TpT sale in the air, I went through my (pages and pages) of wish listed items. I narrowed my focus – or so I thought. I added the items to my cart and tried to calculate the sale price (assuming the sellers are participating in the sale, that is). Then I decided I needed to prioritize. I think I’ve got it down to staying within my budget….I hope! December is one my favorite months because it is the season for giving (at least, more often than other months). I’m giving away a product from my store. 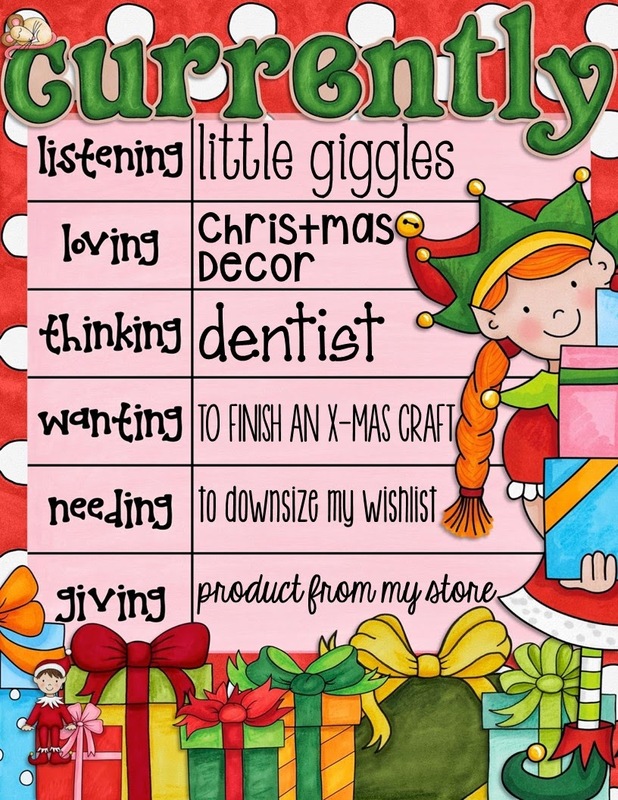 All you have to do is tell me one of your favorite December resources for the classroom (click here to read all about my faves & leave yours, too). I love that shadow box too! I've seen in on Pinterest before also. Can't wait to see how yours turns out. Happy Holidays! My goal was to get all of our Christmas decorations up yesterday, but it didn't happen. 🙁 Hopefully they will be up by the weekend because I have two very anxious little boys. Good luck at the dentist. I love your name!! So unique! Jealous that your decorations are already up. My house is getting there! 🙂 Your blog is darling! Hope the dentist appt. went well! 🙂 The shadow box sounds very creative.